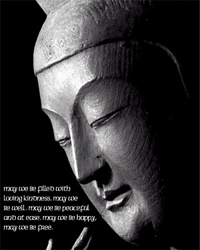 May we be filled with Loving Kindness. May we be well. May we be Peaceful and at Ease. May we be happy, May we be Free.